A Hot Chocolate Treat – Dairy Queen Corp.
It’s Fall in New England! The leaves are changing. There’s a chill in the air. And on this National Dessert Day, we’re swinging by our fav, Dairy Queen! 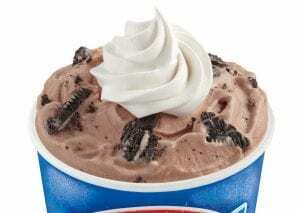 It’s a perfect day to try the new Oreo Hot Chocolate Blizzard! Yum!